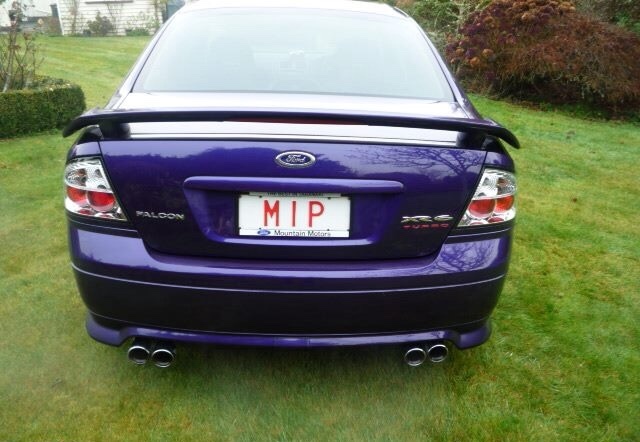 So I just bought an fg f6 engine for my ba xr6, looking at an exhaust and can't really seem to find what I'm after. Must be stainless and really want a twin system - the Nizpro almost had me until I realised it was a single. I want the twin because of how it looks from the rear. You mean you want two single tail-pipes on one side of the car or double-twins on both sides? 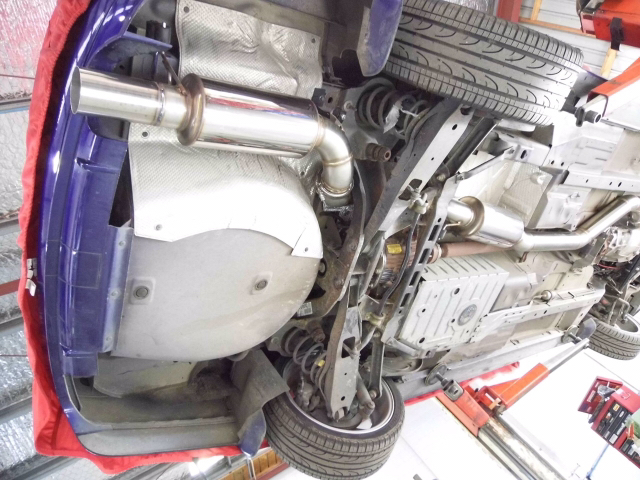 @Hezabot if you want a quality twin exhaust that'll handle 550rwkw then a Manta dual 3" would have to be one of the highest flowing exhausts off the shelf out there. 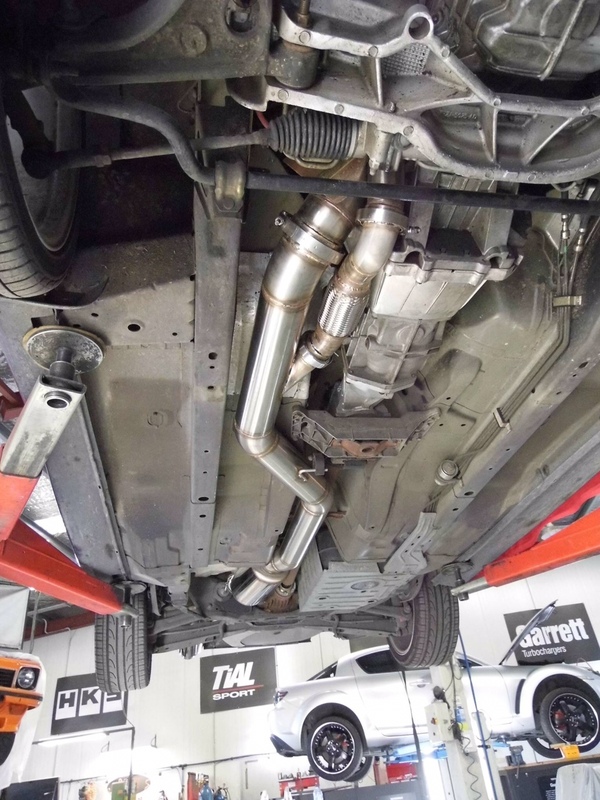 If you let them know your setup they could supply you an FG dump pipe and remainder of the system to suit BA, any mods needed at the dump pipe end should be extremely minor and they'd be able to do. If you can handle (some) drone then get a single 4" with dual tips for maybe half the price from say xforce; or nizpro (more expensive and hated by some) or SMB do a top quality unit. Otherwise just go a reputable exhaust shop and get a full custom setup. Double twins - dual tip and either side of the car. I don't want cheapest, I want quality. Would rather pay 3k for something that works over 1.5k for something that's not what I want. Within saying that the set up my brother has is xforce and I like it. I heard that the manta are fairly drony (the guy did have a single exhaust though). when I say dual I mean two tips on either side of the car, tip on drivers side and tip on passanger side. I had a look at that one and from what I can see they are dual but only on one side of the car? Google tells me CAPA sells them as well, whether they make them inhouse or are any good I've no idea. Nizpro will do a custom version of their exhaust if you ask and have the $$$ handy. Xforce quality can be sub-par, they'll let you make the power but construction is rough and ready in my experience at least, I've had to re-weld my dump pipe flange at least twice due to the material cracking which seems to be a common fault over time. Mine is a mild steel system though, about 6 years old. If I were you and wanted a quality staino quad system that I wasn't scared to spend coin on, I'd get one custom made exactly the way I wanted. and want an n/a exhaust? I put an fg f6 engine in a ba (it's now a turbo), want an exhaust for that model car with that engine (whether any part of exhaust will be different because of the exhaust is beyond my knowledge). No where did I say I want an n/a exhaust. Yea, wanted an fg f6 motor. So I bought one do see how this part confuses you. cleearly I don't wanna pay for sh*t, my brothers exhaust was by no means cheap (I think it's about a 2k set up). I like the note from it and what I'm saying is if there's better I want it. Why cheap out now for something that I like when I can have something I really like. x force flows well over 500 if you dont use their cat. or if your is melb go to nizpro. twin 2 1/2 or single 4 inch will do the job. depending what mufflers. I have a single 4 inch with twin tips. anything can be done just hand over the money to the exhaust shop. not a hard one really. When I had my vs I paid $400 for a cat back exhaust. That's cheap. I rang manta and he reckons he can get me what I want. 4K (this is not cheap) but seems like that's what I'm gonna do unless a better option comes up. mate honestly, quad exhaust is only for v engines, everything else should have 1 outlet/outlets. I hate duals on the new rs's etc. ^^This is what it looks like on an FG.